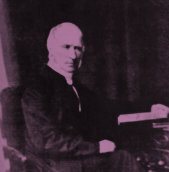 If you went to Christ’s College Finchley you will know the name of Thomas Reader White as founder of the school in 1857. Or you may have heard of him as the Rector for many years of St Mary-at-Finchley in Church End, where he is buried. You may not know of his involvement in bringing gas to the area, trains to Church End or his links to the Royal Family. At our January meeting Mick Crick will tell us more about the life of Thomas Reader White. Mick is the Society’s Publicity Officer, and lives in Friern Barnet. He was educated at Christ’s College Finchley before joining the Metropolitan Police, where he served in a number of different posts for 46 years, retiring in 2012. The meeting will commence with a Special General Meeting to vote on amendments to the Constitution. The meeting will take place at Stephens House, 17 East End Road, Finchley N3 3QE. It will begin at 2.30 pm.